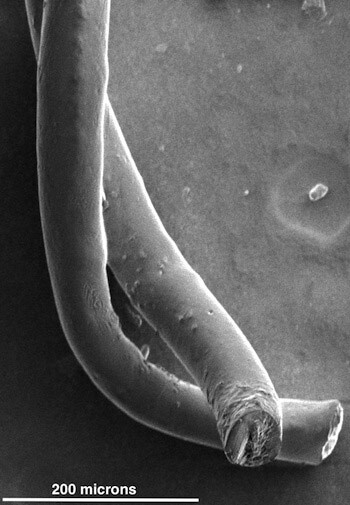 Pairs of carbon nanotube fibers have been tested for potential use as implantable electrodes to treat patients with neurological disorders like Parkinson’s disease. The fibers invented at Rice University proved to be far better than metallic wires now used to stimulate neurons in the brain. New research from Rice University reveals that carbon nanotube fibers provide a two-way connection with neurons and show promise for treating patients with neurological disorders. 1 Comment on "Carbon Nanotube Fibers Provide Two-Way Communication with Neurons"
Perhaps this team should also look at the possibility of using this flexible material to bridge severed nerves in spinal injury patients.